MD Clean offer professional carpet cleaning solutions, using the latest cleaning materials, equipment and techniques, ensuring your carpets retain their optimal appearance, colour and texture. Carpets need to be maintained especially if they are in high traffic areas. 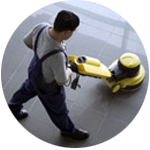 Regular vacuuming may not adequately remove deep stains and dirt. When ongoing care is neglected, your carpets can look lifeless, dull and unhygienic. Using shelf stain removers may do more damage than good, as it does not provide deep cleaning. Our specialist carpet cleaning professionals can breathe new life into your carpet to tackle patchy discoloration, harsh stains and other associated problems. Our team are experienced and equipped to handle your carpet cleaning requirement on a ‘as per the need’ basis or as a part of a complete cleaning contract. We use advanced machines and environmentally friendly cleaning products to restore carpets to their original condition. Thorough examination of your carpets to pinpoint trouble spots so we can advise the right plan that will offer the best outcome. On time and a fast-response service which will not disrupt the activities of your business or facility. Dry carpet cleaning techniques to remove dust mites and other elements so the carpet looks and feels clean. Deep cleans to ensure enhanced indoor air quality and health as fresh carpets reduce the risk of allergies and Asthma. Rug cleaning to remove oily and sticky soil deposits which result from air pollution and other vapours. Use of high quality protection formula that will expand the lifespan of your carpet. Anti-static treatments to protect you from anti-static shock. Choose a carpet and floor cleaning company with a proven track record with hundreds of satisfied customers throughout Kent and the South East. Contact us today to find out how we can help with your commercial carpet cleaning requirements.